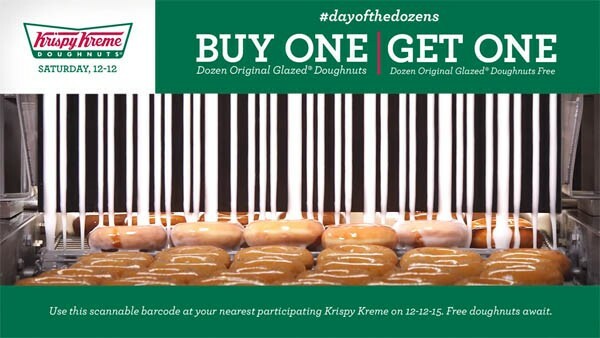 Krispy Kreme is continuing their annual “Day of the Dozens” deal on 12/12/15. 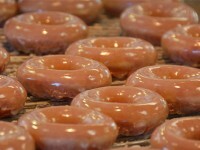 On Saturday, December 12, you can get a free dozen Original Glazed donuts when you purchase any dozen donuts. 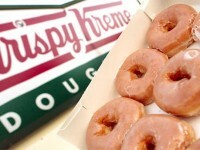 In order to take advantage of the deal, you need to visit this page on KrispyKreme.com and either show the barcode made from falling icing (creative idea from the marketing folks over at Krispy Kreme) or just print out the coupon on the page. 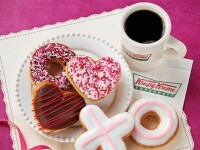 This deal is available at US locations, and in many countries around the world. Check the website for more details.